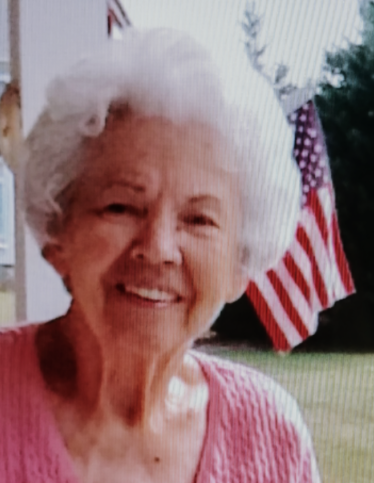 Mildred L. Pells, 96, of Schultzville and a long time resident of Hyde Park, passed away peacefully at home on January 22 , 2019. Born on Nov 14,1922 in Mustoe, VA, she was one of 10 children born to the late Sullie and Anna Mae (Gutshall) Hite. On Sept 19, 1942 she married Earl Pells in Hyde Park. He predeased her in May 2005. Mildred and her husband owned and operated Howard Johnson Restaurant in Hyde Park from 1955 until 1982. They also owned and operated Country Tavern Restaurant in Salt Point for many years before retiring. She is survived by Roger and his wife Judy Pells, Moneta, VA, and Richard Pells, Schultzville, a granddaughter Tracy Mott (James) and great grandchildren Sonia and Evan Mott, Glendora, CA. In addition to her husband, she was predeceased by 5 brothers and 4 sisters. The family wishes to express their sincere gratitude to Taisha Brandon for the amazing care and support she gave to Mom over the last year of her life. And a very special thanks to dear family, friends and neighbors especially Craig, Beth, Steve, Heidi and Joe. You have no idea how much we appreciate your care and concern for both Mom and Richard. In keeping with her wishes there will be no calling hours. A private burial will take place at a later date.